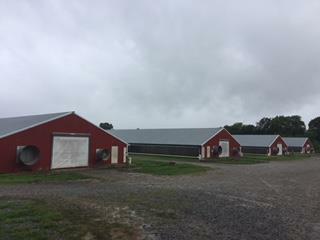 14 broiler houses on 82 acres with many extras. All 14 houses have been recently updated. 3 solar systems, 2 tractors, 2 de-cakers, 1 litter spreader, 1 litter saver, and PTO sprayer included. House and house trailer included. Farm is being sold with 4080 Fayetteville Hwy, owner wants to sell both farms together, see MLS number 1850283.